Vegas aka Velusinus R, ridden by American rider Christine McCrea, is “the horse of a lifetime”. Chris McCrea piloted Vegas to the only clear round in the Syracuse World Cup Qualifier in 2008, and also that year finished 11th in the Beijing Olympic Trials. From 2005-2010, this pair accumulated numerous wins including back to back wins at the Hampton Classic and Gold Cup World Cup Qualifiers, qualified for 3 World Cup Finals, competed at the World Cup Finals in Las Vegas and was short listed for the World Equestrian Games in Aachen, Germany. This special team also competed on several winning Nations Cup and Super Leaugue teams throughout Europe. Vegas is a horse with a more traditional pedigree and is very popular amongst American breeders. His offspring are now stepping into the sport and performing with great potential. Vegas passes onto his offspeing a wonderful temperament, strong work ethic and eagerness to perform. His offspring show superb jumping technique and scope and are now producing superb results in sport. Charlotte and Boston a both qualified for the finals 5 & 6 year old finals at the Hampton Classic in 2012. Charlotte was ranked 4th in points in the 2013 USEF standings for the 6 yr olds. 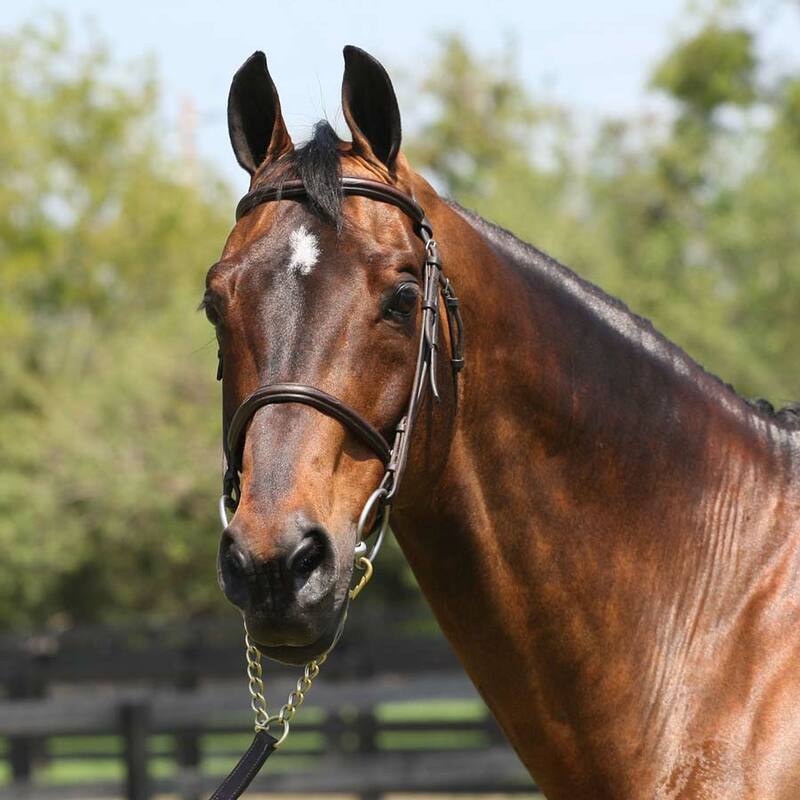 Vegas is a world class stallion with world class breeding making him a perfect choice for breeders who are looking to take their breeding program to the next level!